Start spreading the news… on September 6, The Eye Site is proud to party with MOSCOT Originals, a true New York City institution. From a pushcart on Manhattan’s Lower East Side to creating Buddy Holly’s eye-conic clunkers to framing Johnny Depp, Julianne Moore, Kristen Stewart, and Anderson Cooper, MOSCOT Originals keeps retro rolling with geek chic styles inspired by its own eyewear designs from the 1930s through 1970s. Using traditional hardware in the frame’s construction, each MOSCOT piece is handcrafted for that robust trademark of authenticity. The MOSCOT Sun range is bold and eclectic, evoking the playfulness of the 1970s, 1980s and 1990s from oversized drama to sleek modernity, but maintaining real glass lenses as it always has. Lemtosh, one of the MOSCOT Originals classics. 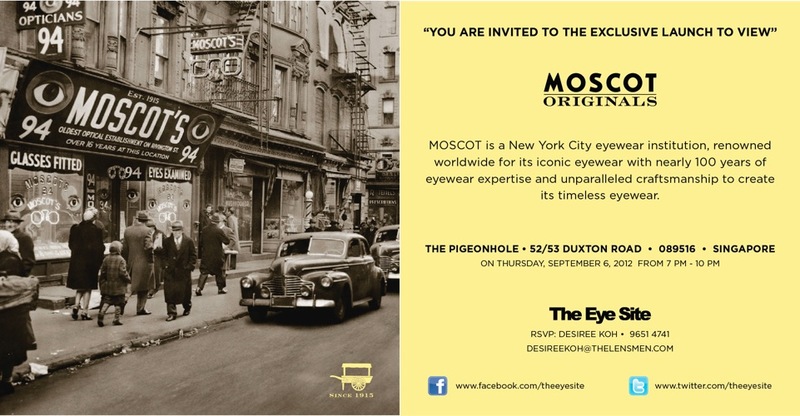 Our MOSCOT Originals party at The Pigeonhole on Duxton Road will feature old school, homemade New York bagels (boiled!) with cream cheese and other shmears, other bites of the Big Apple, and a free flow of craft beers, wines, damned good coffee (duh), and sodas. We’ll be showcasing new and classic collections of MOSCOT frames and sunglasses, which will also be available for sale – all MOSCOT buyers will get a $50 voucher off lenses at The Eye Site. We’ll also be giving away frames of guests’ choices through lucky draws. Wanna come? RSVP to Desiree Koh at desireekoh@thelensmen.com or right here. See you there! 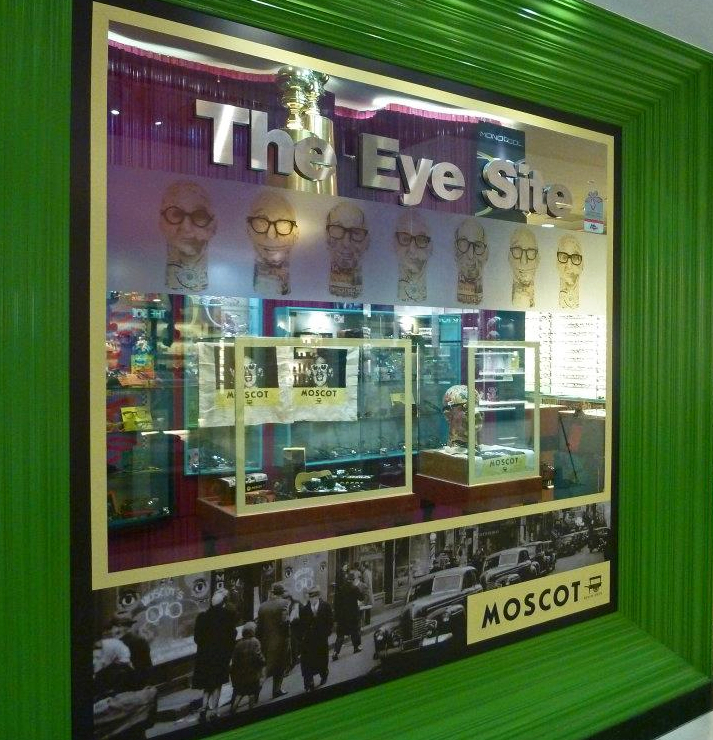 MOSCOT Originals lookin’ good at The Eye Site. Follow MOSCOT on Facebook! Then, follow MOSCOT on Twitter!